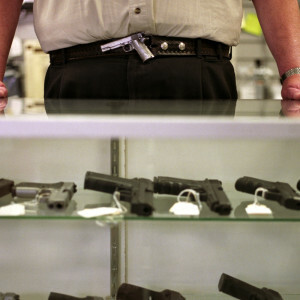 A good carry gun can, of course, be kept close at hand near the bed at night and serve as your home defense handgun. However, many people, myself included, like to have a dedicated home defense handgun and there is some merit to this. 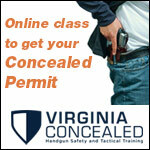 The main advantage here is that you can configure your dedicated home defense gun differently than your carry gun. Also, most people carry a relatively small gun and if you have a dedicated house gun then you can go with a full-size pistol for this role. 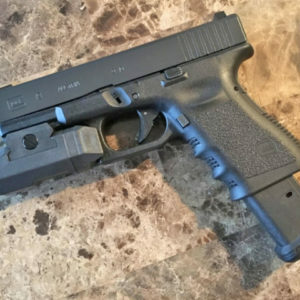 My own dedicated home defense handgun is actually a Glock 19, as is my primary carry pistol, but the one I keep specifically for home defense wears a light and an extended magazine. Both add more bulk to a carry gun but in a home defense role, as long as it fits in your hand safe, there is no down side. 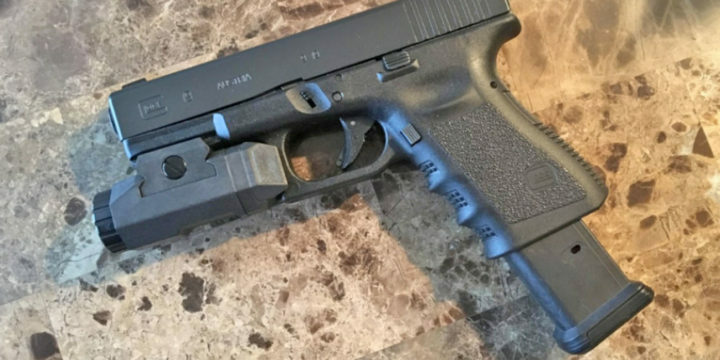 The Glock 19 is really a full-size handgun despite being the compact variant in the Glock family so it makes a great home defense gun as well as a carry gun, but obviously the larger Glock 17 or Glock 34 would be great for the home defense role as well. 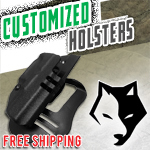 Regardless of what gun you prefer as a carry weapon the full-size variant of it often makes the perfect home defense alternative as it is a platform you are already familiar with. Let’s say you have a Smith and Wesson M&P Shield as a carry gun and you want something larger for a dedicated house gun. The full-size M&P pistol may be a perfect choice as the gun is very similar to your current carry gun, just larger. This is but one example, but staying with the same family of gun is a good thing and most of the established handgun manufacturers offer this option. 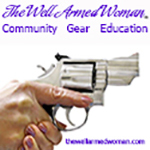 I have two caveats concerning the home defense handgun versus the carry gun: first, while I am awake I am always wearing a handgun at home. So my true first line of defense, even at home, is my carry gun. The home-defense gun is stored in a hand safe near the bed specifically for use when I am in bed. Obviously, I don’t wear a gun in bed. If you do, well…. Anyway, the second caveat is that I truly believe a bedside gun should be stored in a hand safe. Period. I know many think otherwise and believe that the two seconds it takes to open the hand safe could cost you your life. I think you should be awake enough to actually open the safe. Also, if the rest of your home defense plan does not foster enough warning to be fully awake in time then you need to analyze your entire home defense strategy. Especially if you have children in the house I think your handgun needs to be in a quick-access hand safe at night, not just sitting on the night stand, but that is one man’s opinion, your mileage may vary. If responding to a door getting kicked in when you are coming out of deep sleep you are most likely not going to have a lot of time to gear up. I think keeping a home defense long gun is wise, but long guns take more time to deploy and they are less maneuverable. Therefore, the first line of defense, even home defense, should be that closely accessible pistol. There is a very good likelihood that all you will have time to grab is that pistol. This being the case, I like to have everything necessary to really fight with on that single weapon. This primarily means significant capacity and a light. I like a dedicated home defense handgun so that I can set it up the way I want for the given task. Granted, if you always carry a full-size pistol then you have something substantial if that is what you keep near the bed. But if you carry only a small and limited capacity gun then there is no reason to rely on only that for the home defense role. 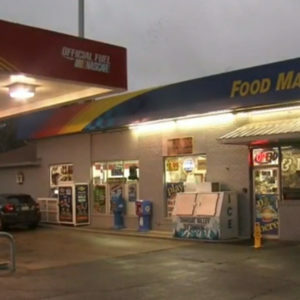 While even a small gun should be adequate the majority of the time even in the home, it is unfortunately not uncommon to see incidents of multiple armed and violent home invaders enter a residence. If things go bump in the night what you grab very well may be all that you have. Most of the full-size pistol models today have considerable capacity. There are after-market mags for a lot of guns that provide higher capacity as well, but be very cautious to extensively test these for reliability. 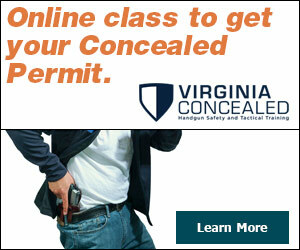 If you carry a compact model of gun very often the compact model takes the factory magazine of the full-size gun. If you use your carry gun as your house gun you could just put the full-size magazine in it to make sure you have full capacity in the gun should you need it in an emergency at night. This is one reason I really like compact double-stack models: they are easier to carry than the full-size gun but provide more versatility, like the ability to use the full-size magazine, than do the thinner single-stack guns. The other item that I like on a dedicated house gun is a light. 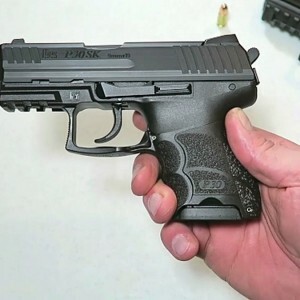 I don’t use a weapon mounted light on my carry guns, although even this is quite feasible today with the new breed of very small lights, but for a house gun I like this option. Again, if you only have time to grab the gun, I like having everything necessary on the gun. Currently I am using the Inforce APL and I really like it, but there are quite a few good ones on the market. Bear in mind that you should not use the weapon light to search around as you would use a handheld light because pointing a gun at everything you illuminate is not wise. But should you actually need to engage a target while illuminating it a weapon mounted light is hard to beat. Training is needed to be able to use the weapon light well, of course, so if you equip your gun with one get the training necessary. Two other beneficial items for a house gun that tend to be more optional and entirely personal are lasers and night sights. I don’t use a laser, simply because I don’t train with a laser on any of my guns, but if you train with them a laser is a great asset in low light. I do have night sights on all my guns, house gun included, and while beneficial the mounted light would be my higher priority. So there are some suggestions for setting up a dedicated house gun. Give it some thought if you have not done so already, as defending your castle warrants the right tools. The house gun may be the only thing you have time to grab in an emergency, so setting up your home defense handgun appropriately may prove to be worthwhile should things go bump in the night.